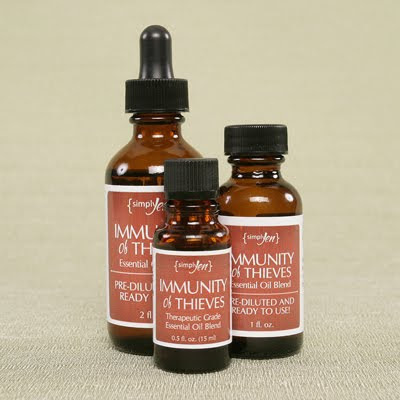 Simply Jen: Immunity Oils Back in Stock! Immunity Oils Back in Stock! A fresh new batch of Immunity of Thieves oils are BACK IN STOCK! This blend of essential oils is highly anti-viral, anti-bacterial, and anti-fungal. A GREAT way to guard against colds, flu's and much more! These sell like hot cakes, so if you are interested, order quickly. I only have a limited number of these available until I blend the next batch! Wishing you and yours a HAPPY & HEALTHY New Year!!! I want to order the 2oz bottle. How do I do this? Nicole told me about this last month and have wanted some ever since. My email is tricobi1@yahoo.com. Thank you. Hi Cobilynn! I just sent you an email regarding your order!